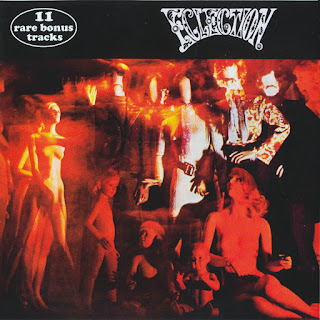 The rare, sole, and self-titled album by Eclection was one of the finer overlooked folk-rock recordings of the 1960s, and perhaps the best relatively unknown British folk-rock LP of its time. The band had a great deal going for them: four strong singers, rich multi-part harmonies, strong original material by two composers, deftly textured mixes of electric and acoustic guitars, and tasteful orchestration that gracefully enhanced the soaring bittersweet melodies and male-female vocal blends. They were also one of the few British acts signed to Elektra Records, the hippest American independent label of the era. None of this translated into high sales or wide renown. 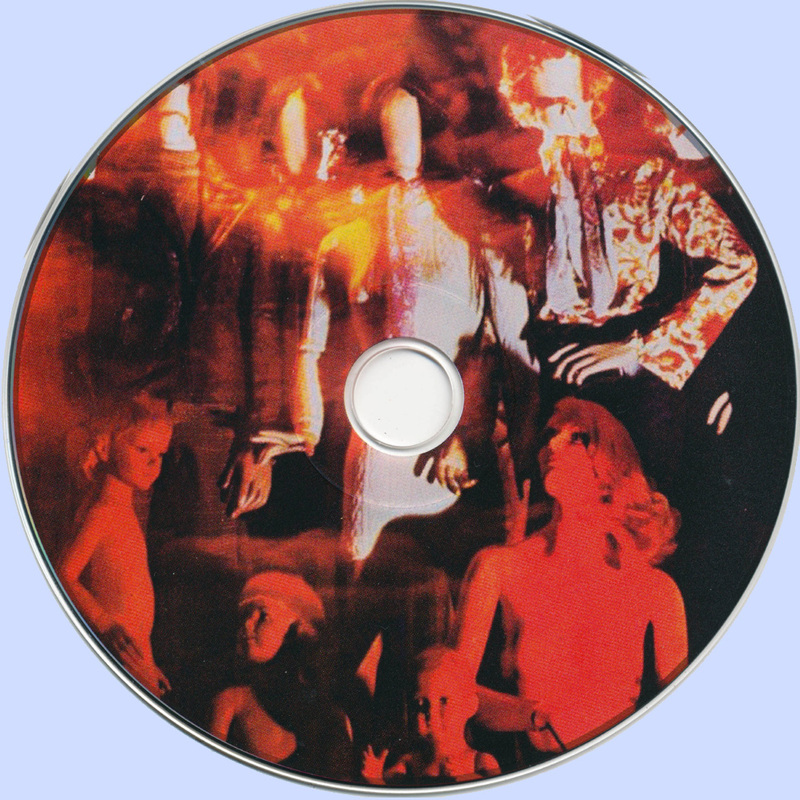 Eclection, so full of promise on this 1968 album, had split up by the end of 1969, never having issued another full-length release. The simple label of "British folk-rock band" applies to Eclection as much as any description could. Upon closer scrutiny, that term fails to capture the complexities of this enigmatic group. For this British band had but one actual British member, the rest of the group hailing from Norway, Australia, and Canada; for that matter, when one of the Australians left, she was replaced by an American. The group are closely connected to the Fairport Convention family tree via the presence of two future members of the band, yet neither of them wrote material or took prominent lead vocal roles on the Eclection album. Despite the Fairport connection, the folk background of some of the members, and the obvious vocal and instrumental folk-rock elements, they didn't think of themselves as folk-rock. Too, this British album, recorded in London by mostly non-British musicians, sounded more like a product of California than anything else, despite the absence of any Americans on the recording. Tying it all together was the unlikely figure of producer Ossie Byrne, most known for overseeing the first international hits of the Bee Gees. Byrne, of course, was not British either, hailing from Australia. Eclection was an apt name for a group originating from such disparate regions. Georg Hultgreen, who wrote eight of the eleven songs on the album and handled twelve-string electric and acoustic guitars, was born in Norway. The son of Russian prince Paulo Tjegodiev Sakonski and Finnish sculptress Johanna Kajanus, he moved to Paris just before entering his teens. Shortly afterward he moved with his family to Quebec, where he learned English, and worked as a stained glass window designer before ending up in England. Michael Rosen, who wrote the remaining three songs on the LP and played trumpet in addition to six-string acoustic and electric guitars, came from Canada. Singer Kerrilee Male, an Australian, had in the mid-1960s sung in Dave's Place Group; that outfit was featured on the Australian folk music television show Dave's Place, featuring ex-Kingston Trio guitarist Dave Guard, who had somehow ended up living in Sydney. Fellow Australian Trevor Lucas had the most on-record experience of any member of Eclection, having released a couple of rare folk albums, as well as contributing to the EP The Folk Attick Presents, singing backup vocals on British folk legend A.L. Lloyd's Leviathan, and appearing on the soundtrack to Far from the Madding Crowd. Completing the unlikely quintet was their sole British member, drummer Gerry Conway, who was just leaving his teens. Conway had been playing in the group of musical giant Alexis Korner, whose band was famous for helping train numerous future British rock stars, including members of the Rolling Stones, Cream, and Led Zeppelin. If it seems like an unlikely transition from a blues-oriented ensemble such as Korner's to the pop-folk-rock of Eclection, it should be remembered that Korner's band had also given apprenticeships to Danny Thompson and Terry Cox, the rhythm section of one of the most successful British folk-rock groups, Pentangle. After about a year of gigging with post-Kerrilee Male lineups, Eclection broke up in late 1969 (though Henderson did head a revamped version of the band in the 1970s). Lucas and Conway formed the rhythm section of Fotheringay, featuring Trevor's girlfriend (and, later, wife) Sandy Denny, who had just established herself as the finest British folk-rock singer as part of Fairport Convention. Fotheringay made a fine folk-rock album in 1970 before Denny left for a solo career. Lucas and Denny would play together again in Fairport Convention in the mid-1970s, though Denny died tragically young in 1978, while Lucas passed away in 1989. Conway's long career took in stints in Jethro Tull and Pentangle, as well as recordings with John Cale, Sandy Denny, Joan Armatrading, the Everly Brothers, Cat Stevens, Richard Thompson, Al Stewart, and many others. He's now, in 2001, the drummer in Fairport Convention, an institution that's still going strong more than thirty years after their formation. As for the others, Hultgreen, under the name Georg Kajanus, joined Sailor, who had a couple of Top Ten British singles in the mid-1970s. An accomplished artist as well as a musician, he is now, believes Conway, living in Paris. Rosen later played with obscure early-1970s progressive rockers Mogul Thrash, which also included future Family/King Crimson/Asia member John Wetton. Gerry last saw Michael in the early 1980s in Canada while touring with Richard Thompson, "and as far as I know, he was working in his uncle's steel mill." Conway's lost all contact with Kerrilee Male, whom he believes went back to Australia after quitting Eclection. "As it started as it finished, I suppose," he chuckles. "Everybody disappeared back to the four corners of the earth."